" We enjoy working in partnership with parents to address all their children's health issues, including physical, mental, and social." "A critical component of our approach is educating parents on all aspects of their child's development and health, while clearly answering all questions and concerns." Bucci Lancer Pediatrics Towson office has moved across the hall! At Bucci Lancer Pediatrics, we offer a full spectrum of pediatric care including prenatal visits for expecting parents, well-child and sports physicals, immunizations and same day sick appointments. Our caring team is committed to providing quality service in a comfortable office setting where children and parents can feel at ease. We also set aside time to equip parents with the tools and resources necessary for the development of healthy children from birth through adolescence. We know that parents and children lead busy lives and are committed to making our practice convenient and accessible for your family. We have two convenient locations and are open four late nights and Saturday mornings. Our team is available days, nights and weekends to answer questions or address emergencies. 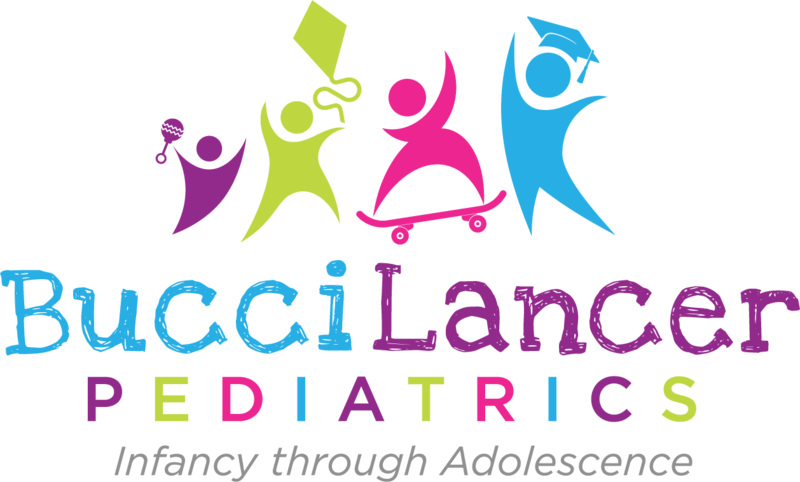 When you choose Bucci Lancer Pediatrics, you can feel confident that you are teaming with knowledgeable, compassionate providers who have dedicated their careers to child-focused health care. Bucci Lancer Pediatrics would like to congratulate Ms. Hays on her new position with Kennedy Krieger. The providers and staff at Bucci Lancer Pediatrics will miss her, but wish Ms. Hays the best in all her future endeavors! May 31, 2019 will be Ms. Hays last day at Bucci Lancer Pediatrics. Our office will be happy to complete camp and school forms for patients who have been seen for a well visit within the past year. If your child needs a well visit, please call the office as soon as possible, schedules for the upcoming school year are filling fast. There is a $10.00 fee for school/camp forms (free if completed during the well visit). Please allow 7-10 business days to complete forms. IT'S TICK SEASON IN MARYLAND!!!! Maryland is considered a very high risk area for tick-borne disease, including Lyme disease. Lyme disease is an infection spread by the bite of ticks that causes more than 300,000 illnesses each year in the United States. It is the most commonly occurring vector-borne disease and the sixth most commonly reported notifiable infectious disease. Click on the links below for information regarding the signs and symptoms of Lyme disease, prevention and treatment and a fact sheet to identify ticks found in the Maryland area. Our new office hours will begin on Monday, March 19, 2018. *Open one Saturday per month. All mail must be directed to the Towson office. We may take a few days to respond via email. If your request is urgent please call the office directly. Please do not include private health information in your e-mail communications. E-mail communications outside of the patient portal are not encrypted or secure.